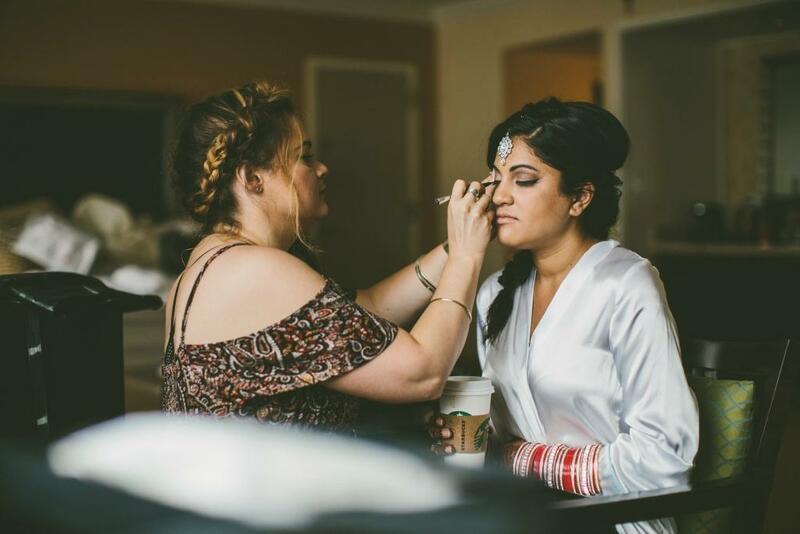 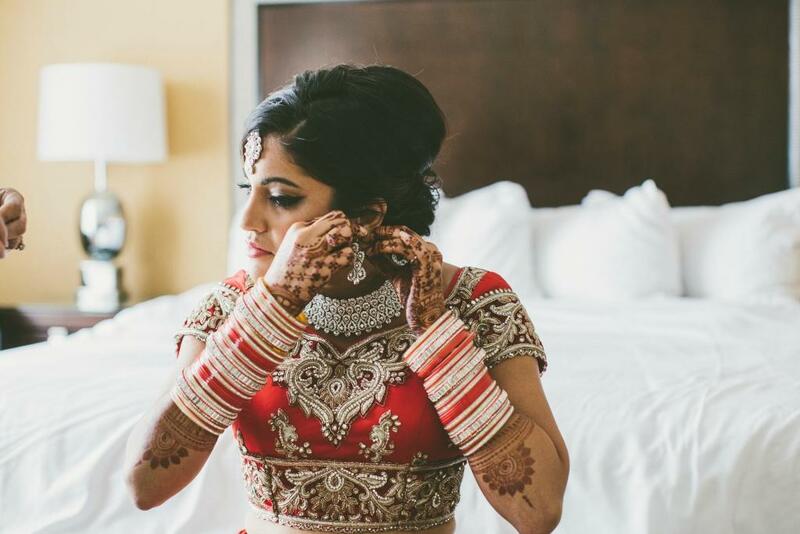 This culture combining wedding was full of intricate details that share the best of both American and Indian ways of life. 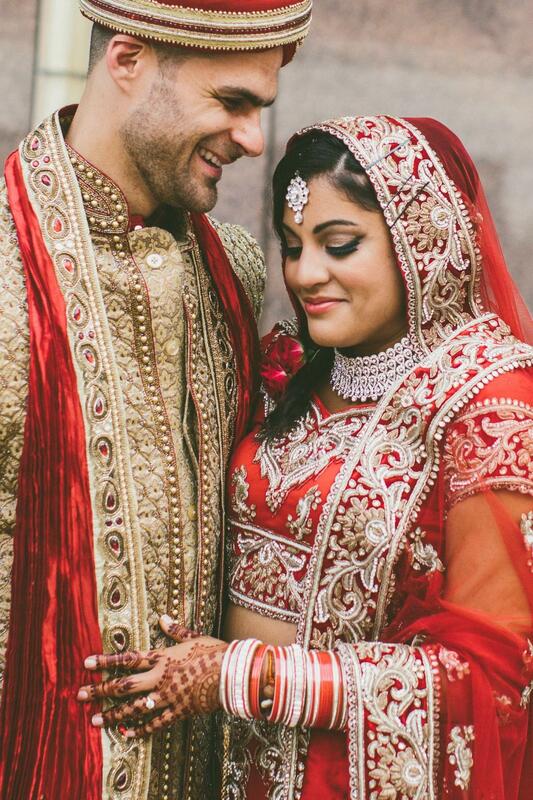 Ambika and Justin were the perfect match right from the start, and in the end their wedding day united their loving bond. 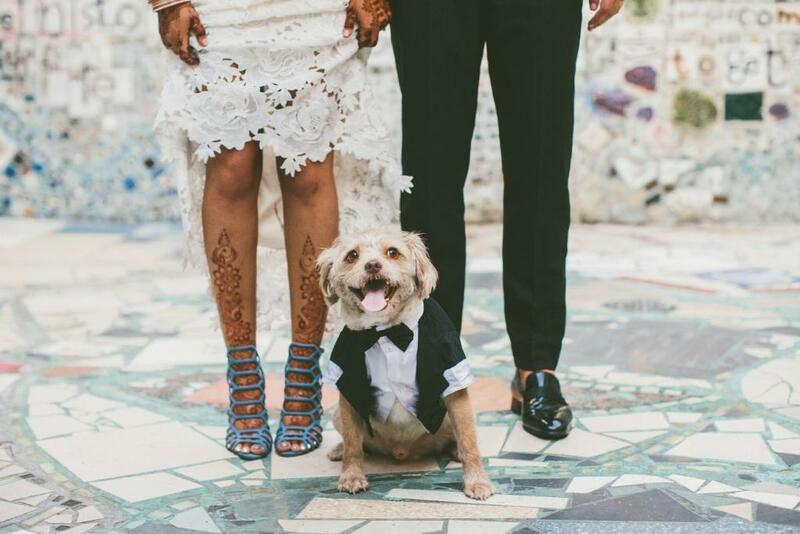 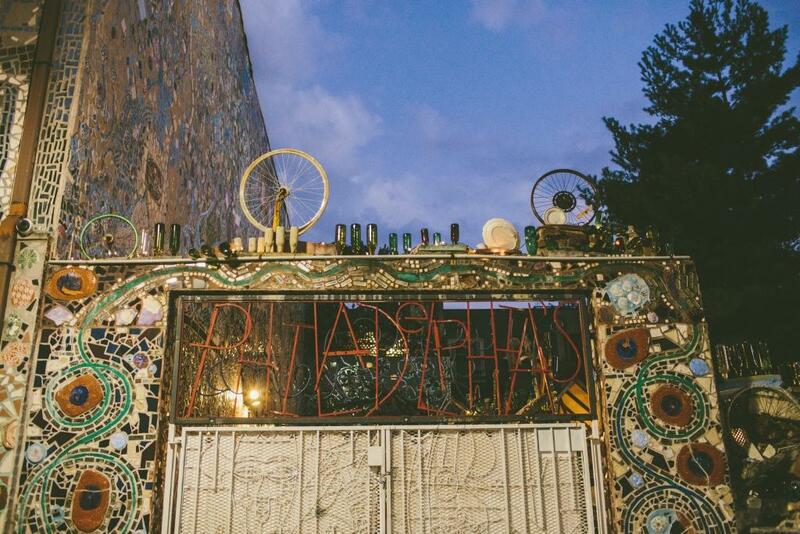 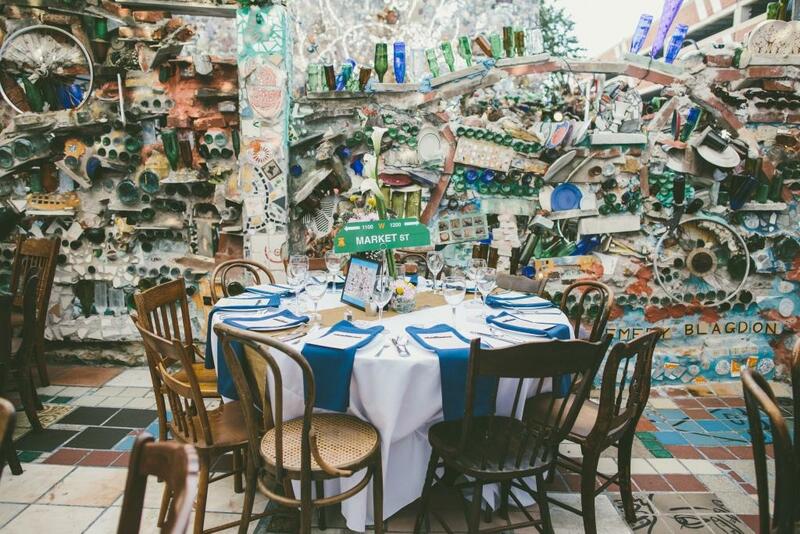 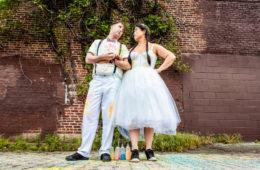 Philadelphia’s Magic Gardens was the artistic backdrop to this lively and colorful wedding! 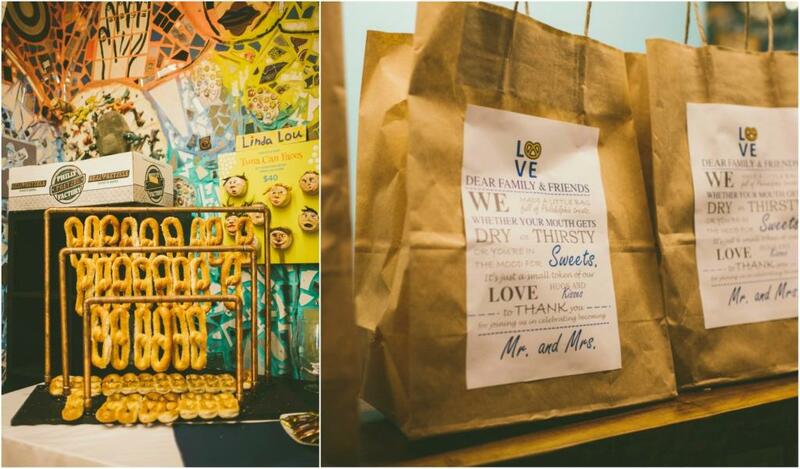 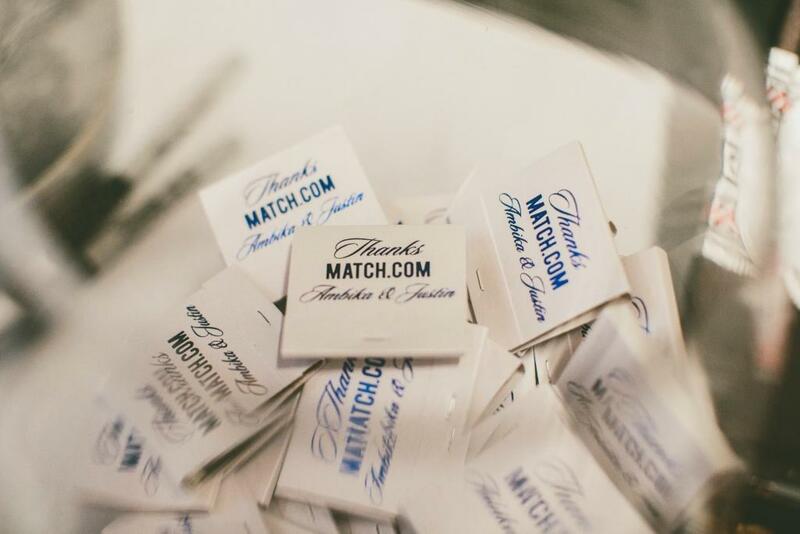 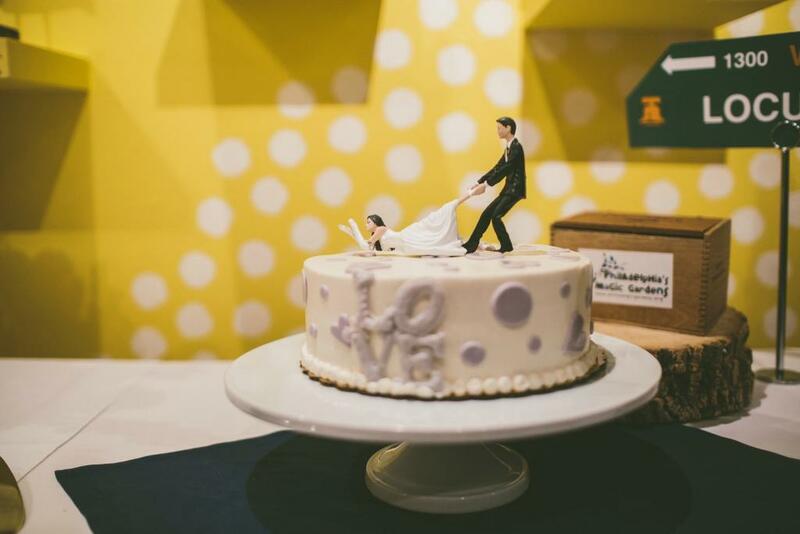 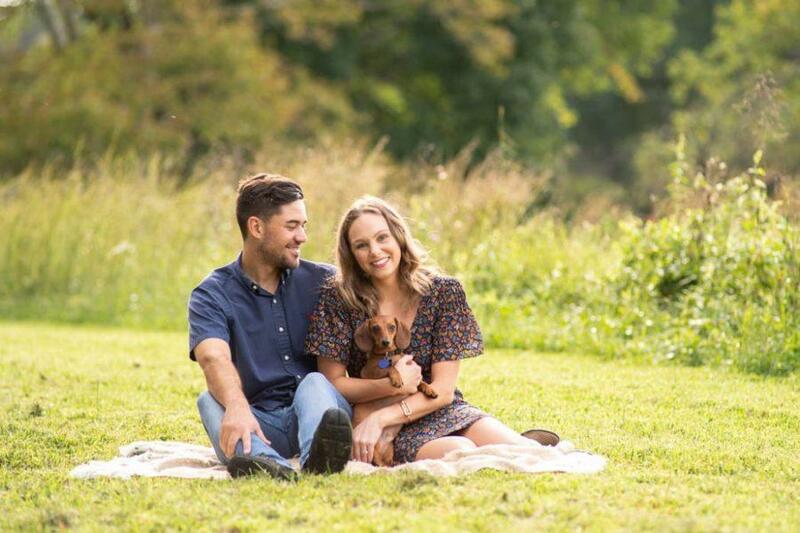 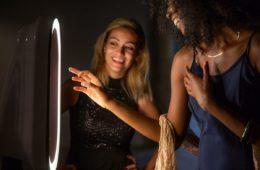 Every intimate detail showcased this couples love for Philadelphia, from the soft pretzel treats to the famous street table numbers. 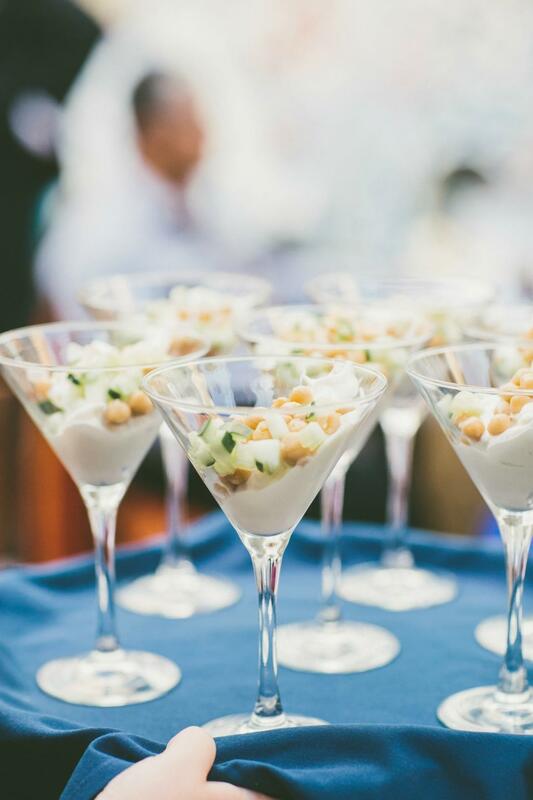 Seedling & Sage Catering provided the most delectable fare that fused Indian and American cuisine so eloquently. 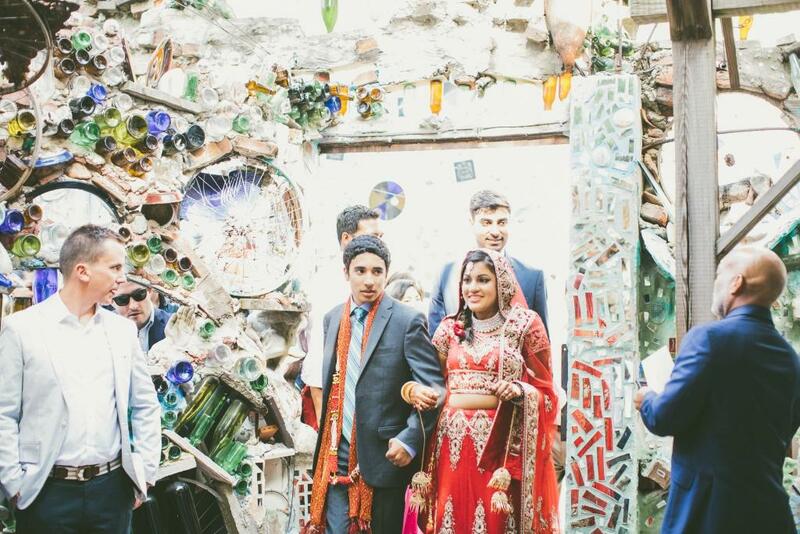 Thanks to All Heart Photo & Video for capturing every beloved moment from this wedding, keep scrolling to see how it all unfolded in the lovely visuals and film below! 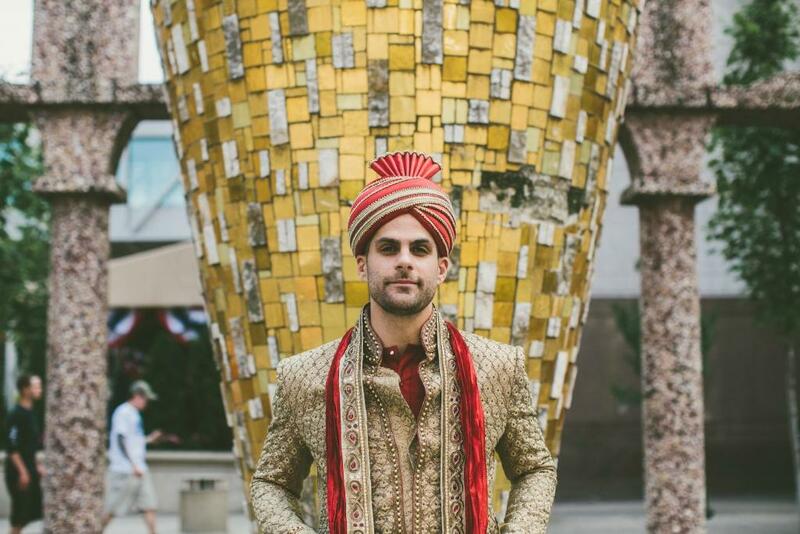 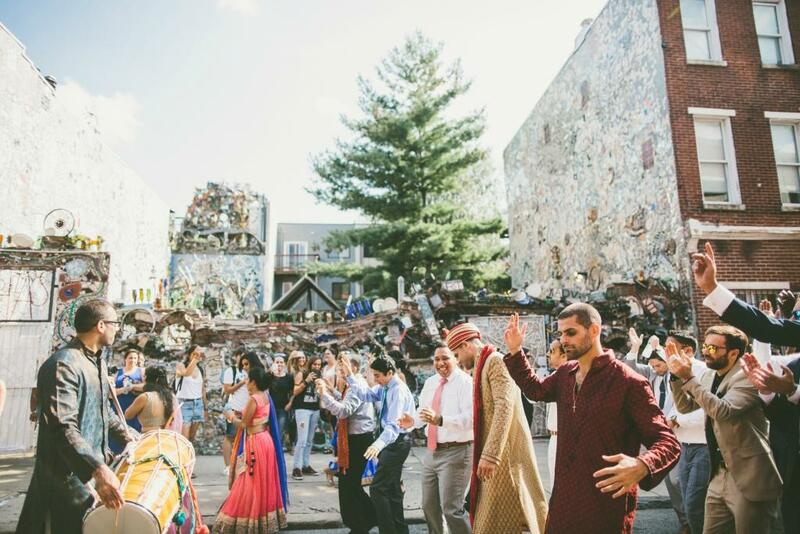 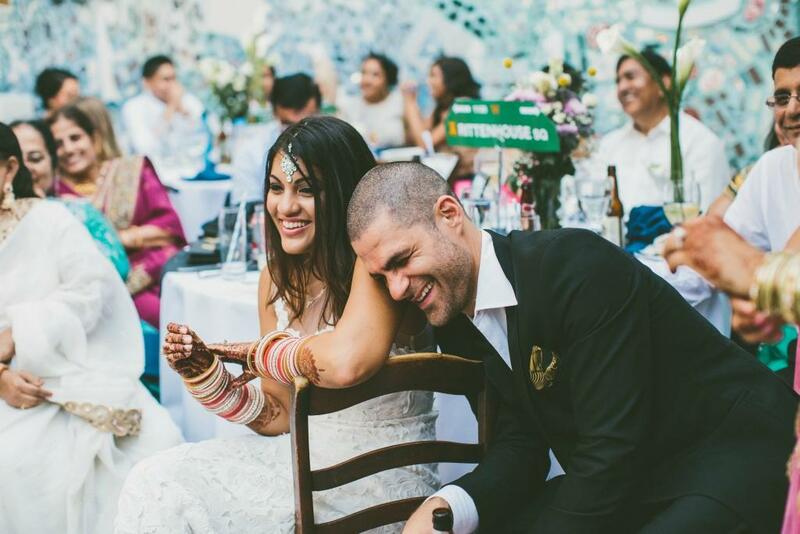 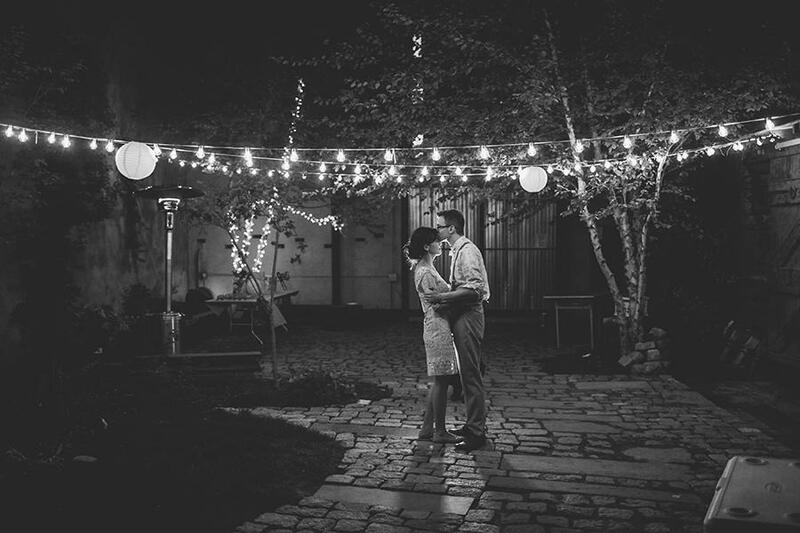 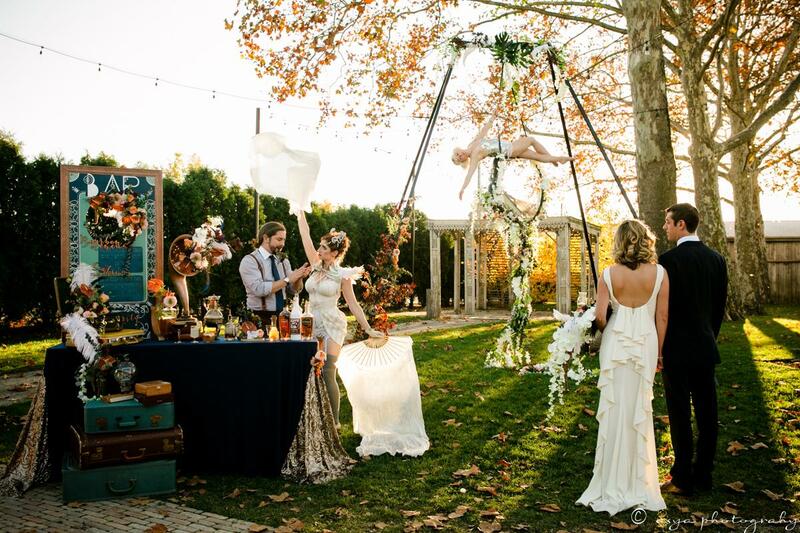 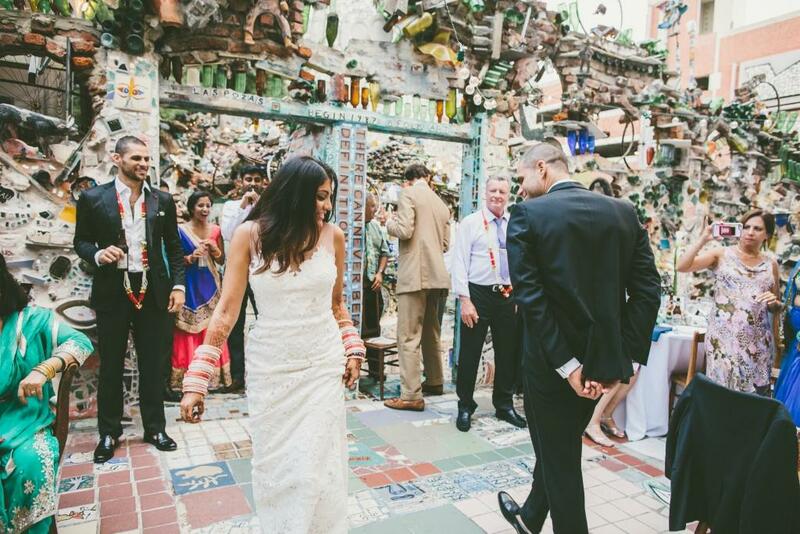 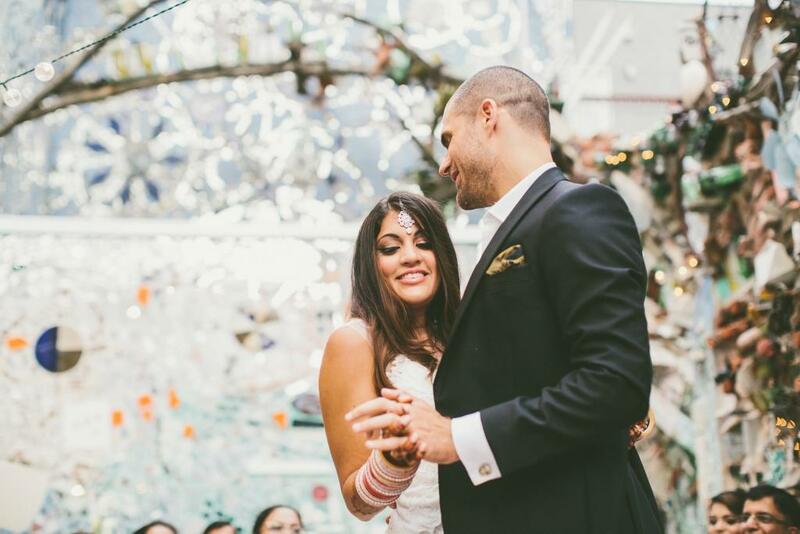 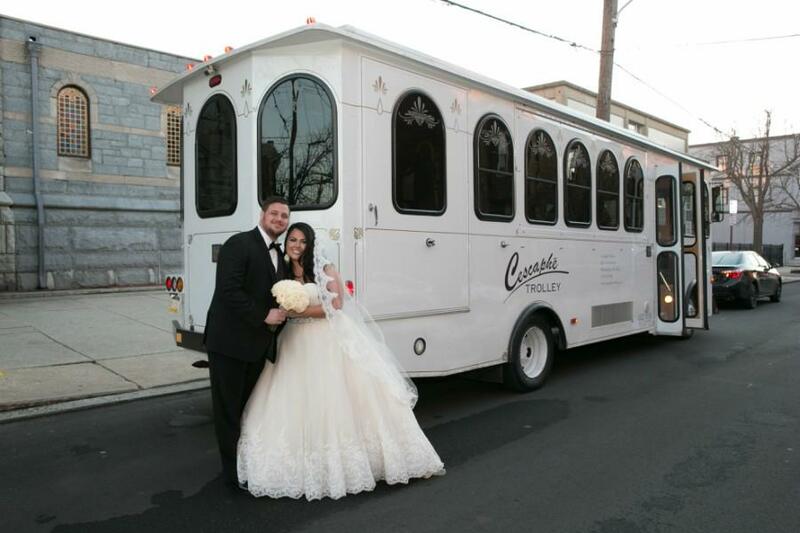 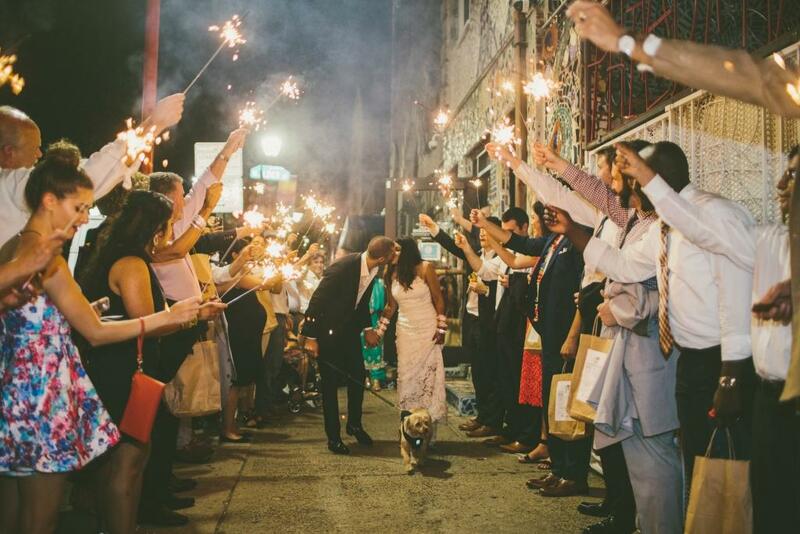 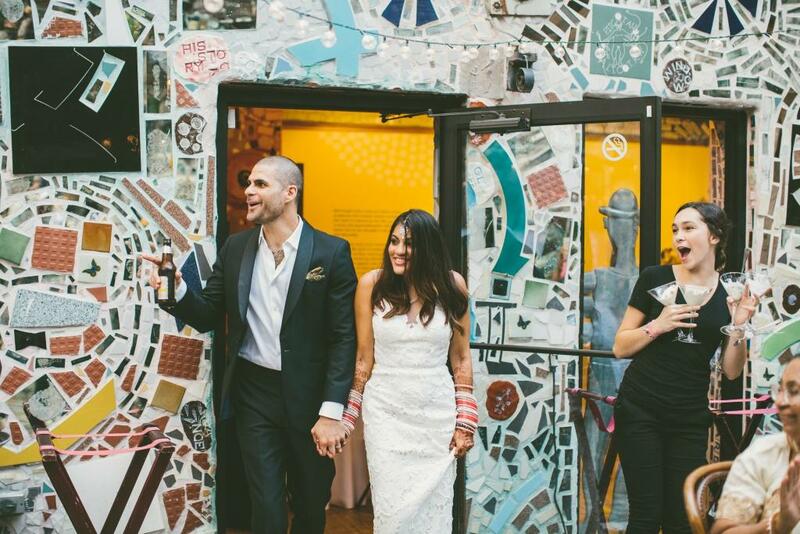 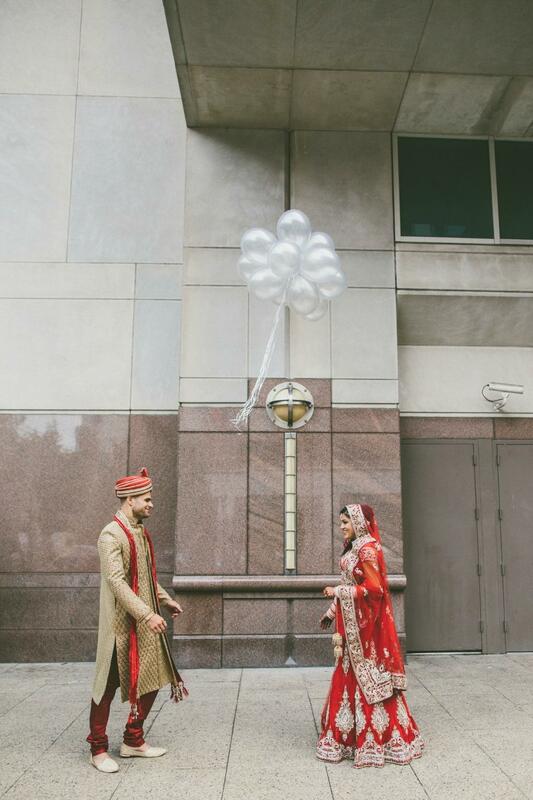 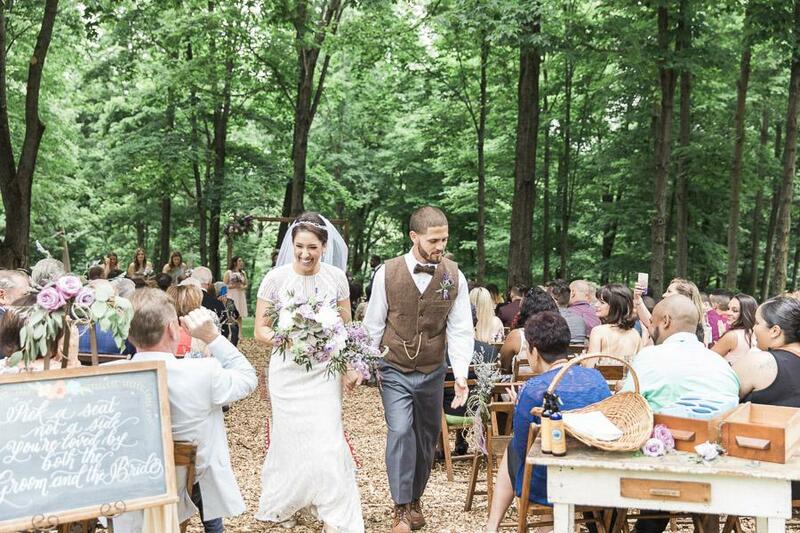 From the Caterer, Seedling and Sage: “Philly Magic Gardens was a magical backdrop for Ambika and Justin’s Indian American wedding. 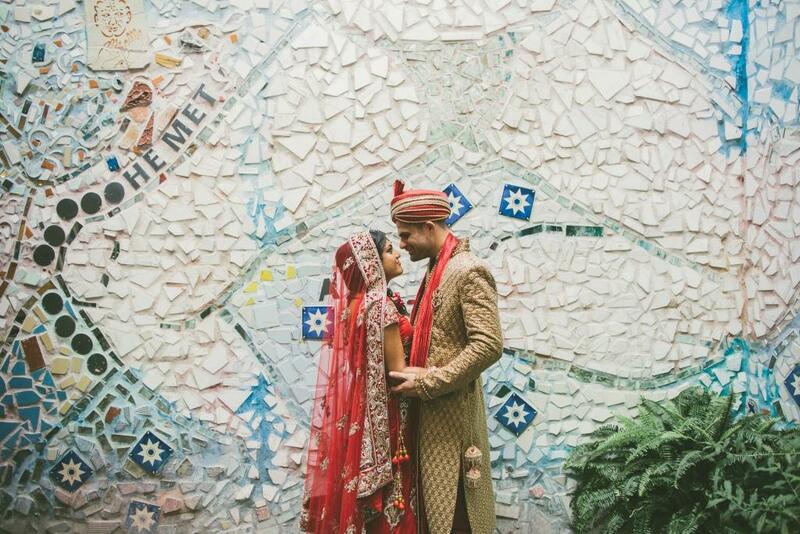 Every inch of the outdoor garden wedding space is another piece of mosaic tile or piece of art. 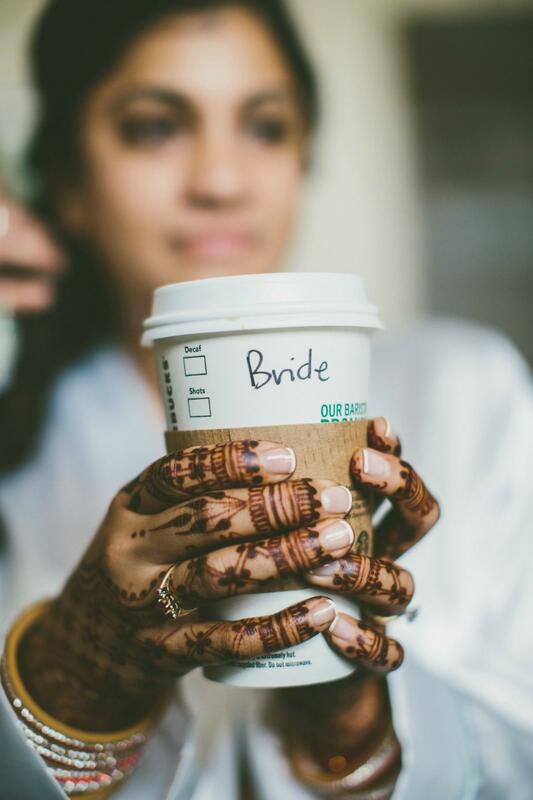 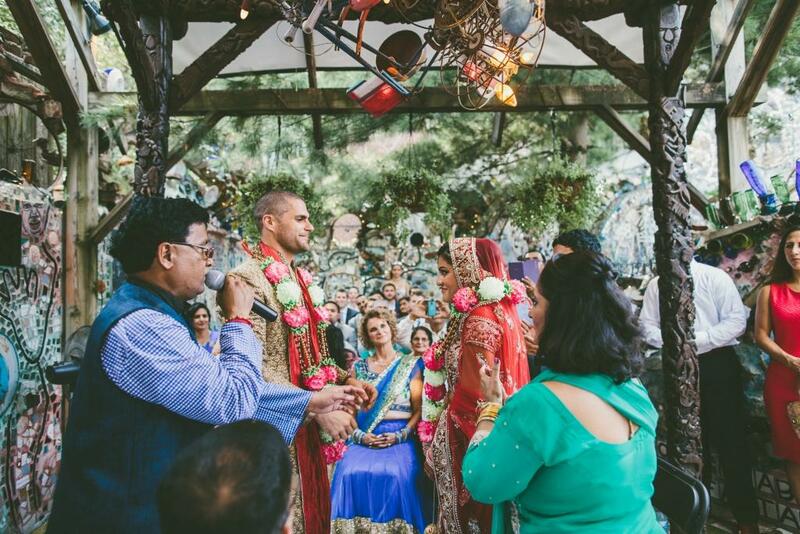 The evening was clad in both Indian and American wedding traditions. 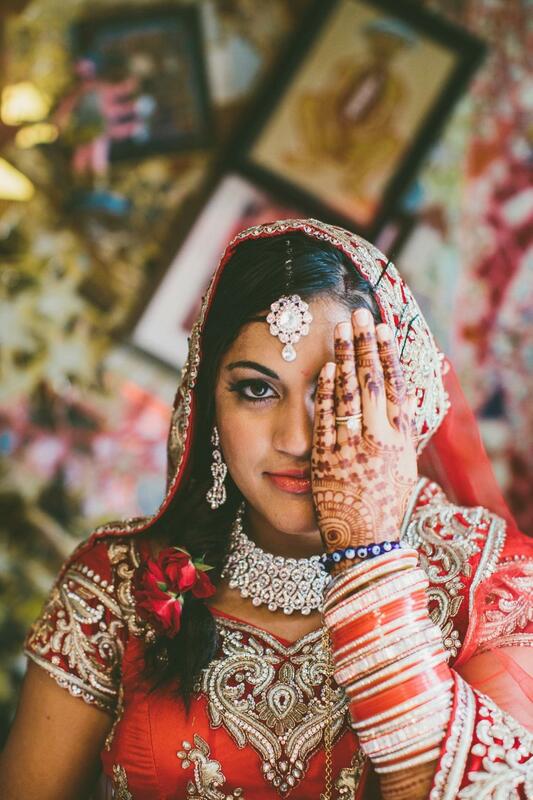 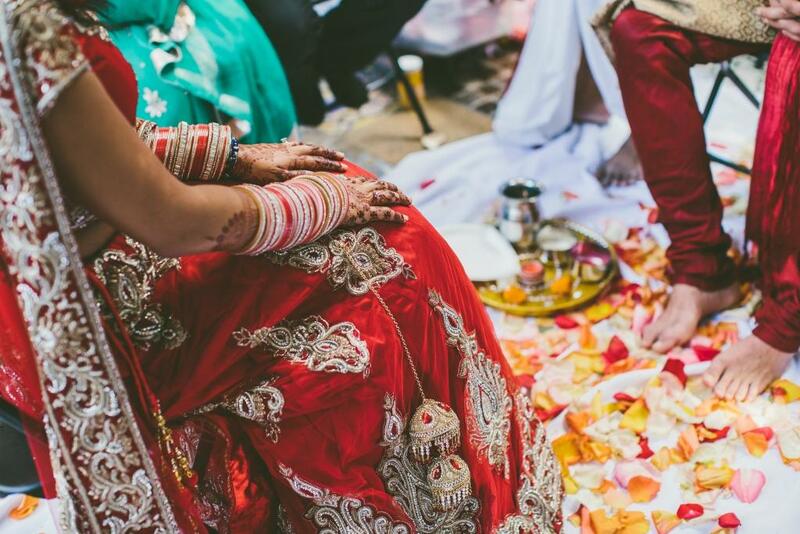 Indian tradition: Mehndi, the painting of the hands and feet of the bride, garlands given to guests, and a large amount of rose petals thrown in the air for good luck. 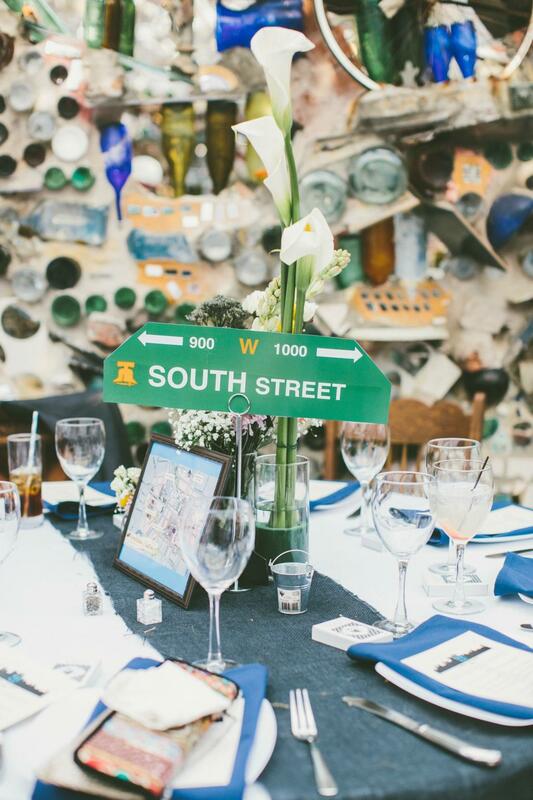 Everything about this garden reception was colorful–the rich attire, the venue, the mix match vintage chairs from Maggpie Rentals (one of our favs), a Philly LOVE cake, our funky iron pipe pretzel stand, delicious craft beers, a blackberry mint bourbon drink, and family style dinner service. 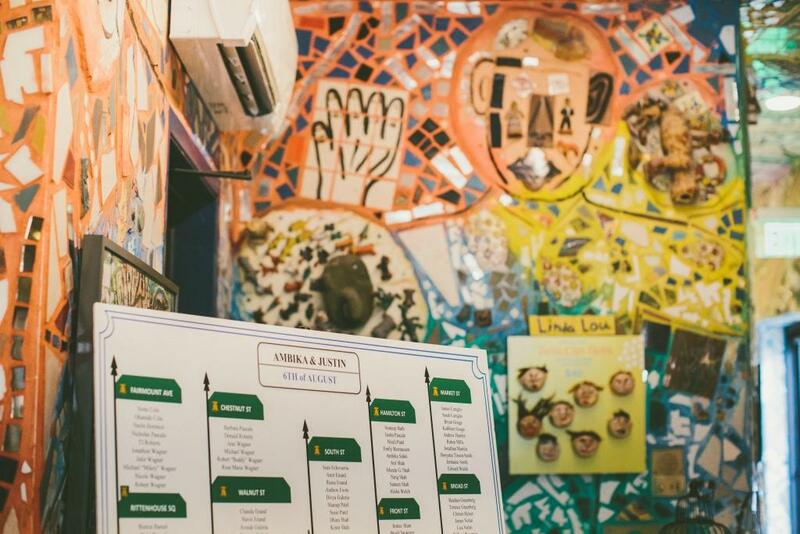 The menu started with Indian Chaat (chick pea, potato, hot Indian spices and cool yogurt, topped with a naan triangle), Pecan Crusted Chicken over a wilted spinach salad, Hoison Beef over soba noodles and more. 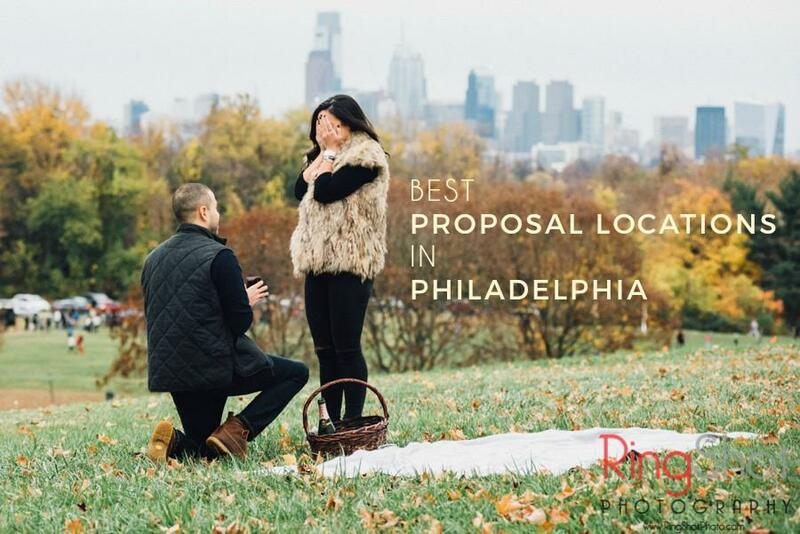 Seasonal pie mason jars and a Philly LOVE cake for dessert. 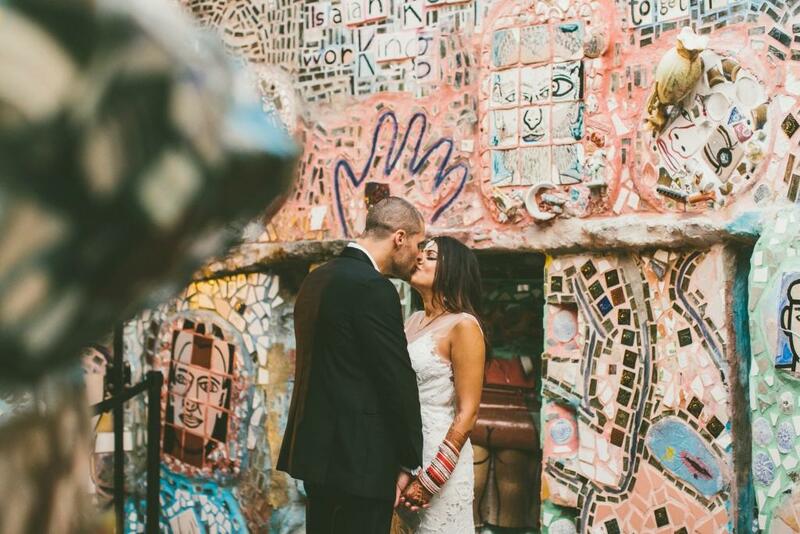 Props to Karen and Dana from All Heart Photo Video for capturing the colorful, warm, simply gorgeous details of this wedding, and of the bride and groom…. 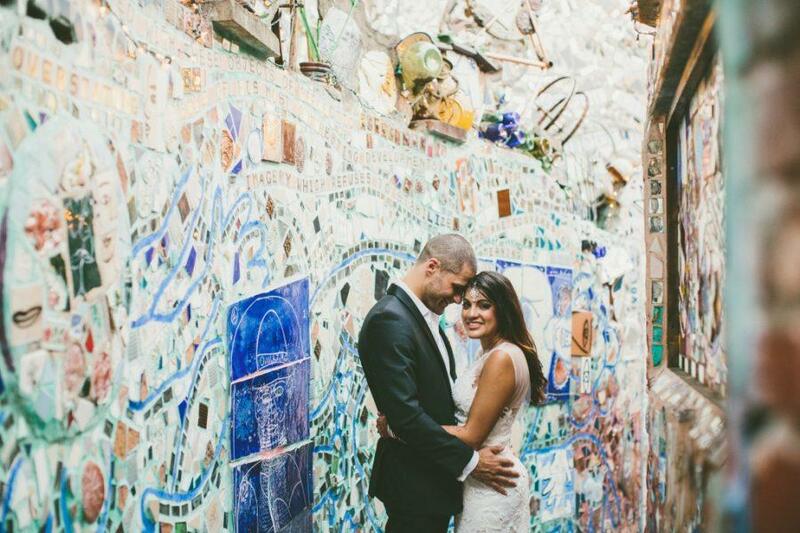 Justin and Ambika, Philly Magic Gardens Wedding from All Heart Photo + Video on Vimeo.